Length of rule: 11 years. Assad ascended to the presidency in 2000, taking over for his father, Hafez Assad, who had ruled for 29 years. 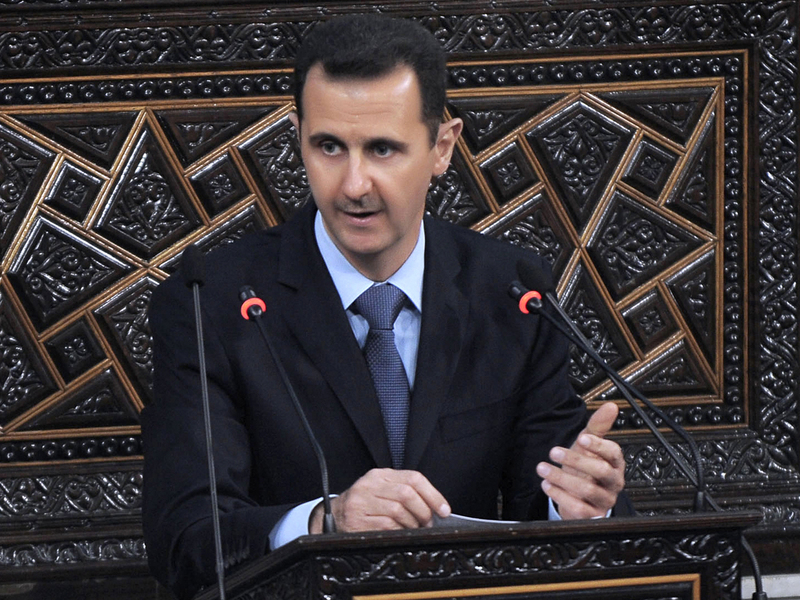 Assad was elected in a national referendum to a second 7-year term in 2007 with more than 97 percent of the vote. While the interior ministry said turnout was "enormous" for that election, without giving exact figures, the opposition had called for a boycott and decried the voting process as rigged. Most despotic acts: In a 2010 report on Syria, Human Rights Watch described Assad as giving his people "No freedom, no rights." The report goes on to state: "Syria's security agencies, the feared 'mukhabarat,' detain people without arrest warrants and torture with complete impunity." Syria is also accused of meddling deeply in Lebanon's affairs in favor of the militant Islamic group Hezbollah, including some degree of involvement in the assassination of an anti-Syrian prime minister there six years ago. In the current uprising against his government, Assad is accused of using the cruelest of measures to crackdown on demonstrators, and as many as 3,000 protesters have died as the army and security forces in tanks, helicopters and the like have been deployed against civilians. Outlook for change: Post-Egypt revolution fever has swept Syria, posing the biggest challenge yet to the Assad dynasty. Regional mediator Turkey recently joined a growing chorus of international condemnation against Assad for his use of extreme force to crush demonstrators after a flood of refugees began crossing its border. While foreign press has been aggressively banned from the country, reports of mutinies within Syria's various security forces continue to come out of the country. The momentum and fervor of the opposition appears from the outside to not have wilted under the government's assault on protesters. However, Assad and his brother, Maher Assad, are in control of a strong and deeply feared security apparatus, and they have thus far displayed a willingness to go to almost any length to crush dissidents. This means that any road leading to Assad's departure will be paved with much blood. Population: 22,198,110; Arab 90.3 percent, Kurds, Armenians, and other 9.7 percent; Median Age is 22. Constitution and the Rule of Law: Republic under an authoritarian regime; Everyday law based on a combination of French and Ottoman civil law; Islamic law is used in the family court system. Economic Indicators: Overall GDP is $106.4 billion (world rank is 68); Per capita GDP is $4,800 (world rank is 152); unemployment rate of 8.3 percent (world rank is 95).